ShaeFit Trainers – The ultimate revolution in health & fitness. Maximise Your Results. Power Up Your Business. Completely personalised training plans, nutrition support & guidance for every client at your fingertips. ShaeFit™ is ideal for the Personal Trainer toolkit. Based on a non-invasive assessment of an individual’s unique genetic expression, the exclusive algorithms, built on more than 100 years of combined medical research, allow you to harness the true potential of each and every one of your clients – effortlessly. 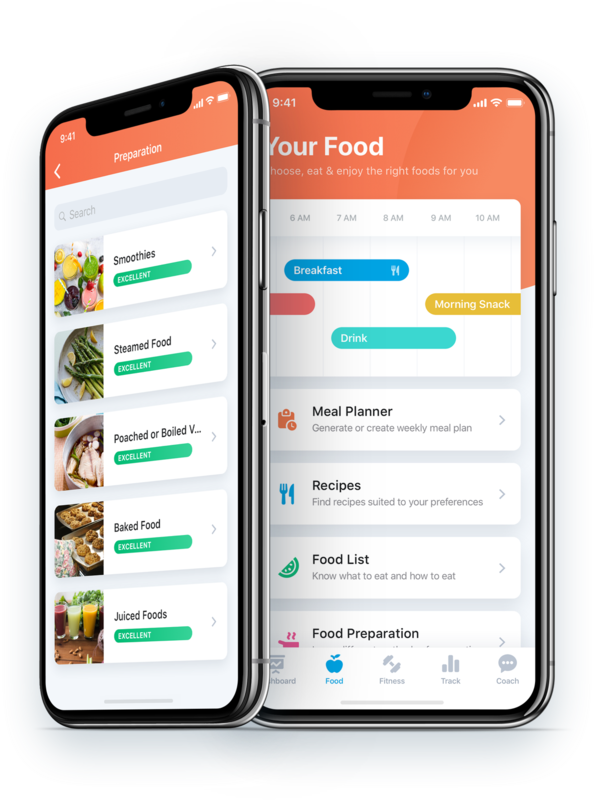 From the time of day to schedule PT Sessions to which vegetable to choose at dinner, ShaeFit™ gives you complete clarity to optimise lifestyle factors like food and the best time of day to train, catering for individual health from a genetic level. All you need is a browser. Login from your desktop or download the ShaeFit™ app onto your mobile device. Set aside 30 minutes to complete the thorough genetic expression assessment with your client. Simply take measurements and complete the questionnaire for full support in food, fitness and mindset. Use your client’s results to optimise training sessions and lifestyle choices for maximum outcomes. 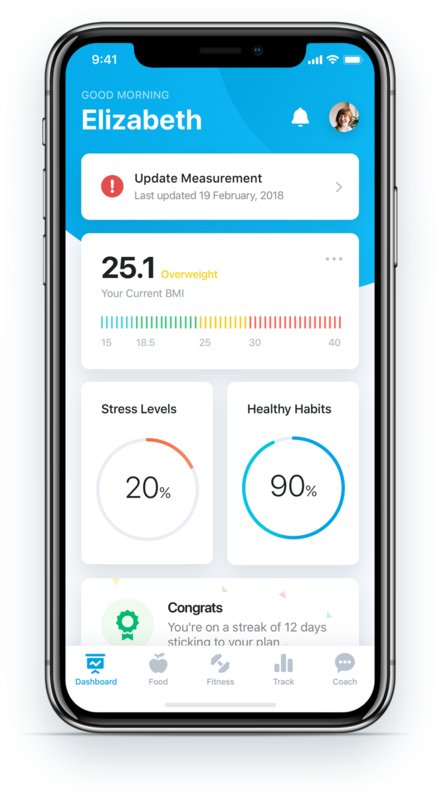 The power of nutrigenomics, phenomics and neuroscience is now in your hands – supporting your clients 24/7. Update your clients data regularly as their body changes to ensure the most precise recommendations. Here is where you will notice the small changes to allow your clients to get that extra 10% from their performance. Enhance performance. Maximise results. Secure retention. Earn commission. Your clients are always changing. Whether from stress, physique, age or simply lifestyle changes. Keep them coming back for more by providing a scientifically proven service with precise recommendations and unparalleled results for every stage of life. 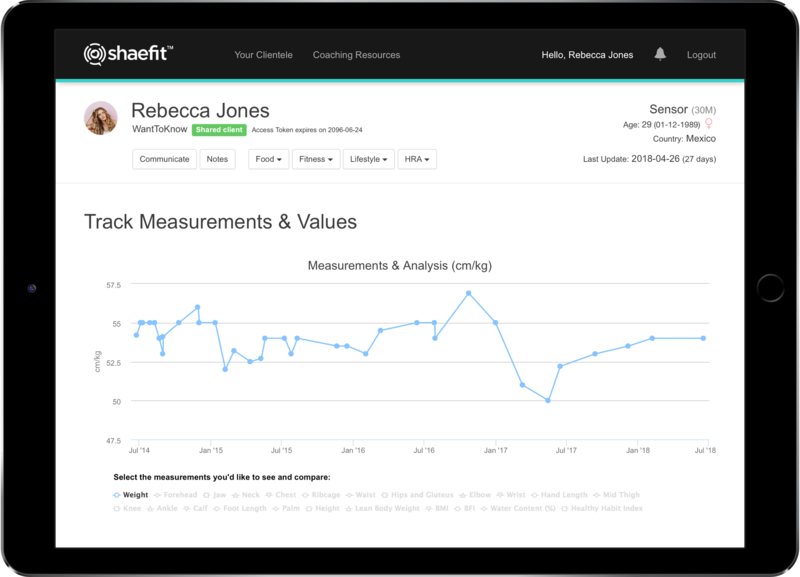 As an endorsed ShaeFit™ Provider you have access to the ShaeFit™ Coaching Portal where your client results are explained from a Health Professional point of view. Find additional, exclusive professional development and support in the global Coaching Network to help make you the authority in your field. Track the important and feel-good milestones with your clients to maintain motivation, health and achievable goals. Immediate, private communication channels allow you to stay connected with your clients to support, motivate and congratulate. Make Your Impact on the Fitness Industry Today. Choose personalised over generic with ShaeFit™. No set-up cost. Earn money immediately. Unparalleled results every time.